For those not familiar, this is the site of the former Mullers Park and Pleasureland Park. It was bought by Oakland to rescue it from a developer. The head of the park committee, is a recreation commissioner, who's main claim to fame involves competitive sports for kids. He's relying almost completely on what the DEP will allow, for guidance. "Rusty Spinner" speaks to the Oakland Flood Comission about the Ramapo. Rich replied to my email. Thank you. I was not aware of this. I will put the word out. I was surprised to get such a quick reply. They were helping with two fishing derbies today. The head of the park committee, took exception to what I said above. He has academic credentials in biology. He has an environmental engineer directing this project. The DEP, the Oakland Environmental Commission, and Borough Engineer's environmental expert were all consulted. Pete - Rich reached out to me, FYI. I didn't know about it myself. I question the goals, but only because none were listed in the article. 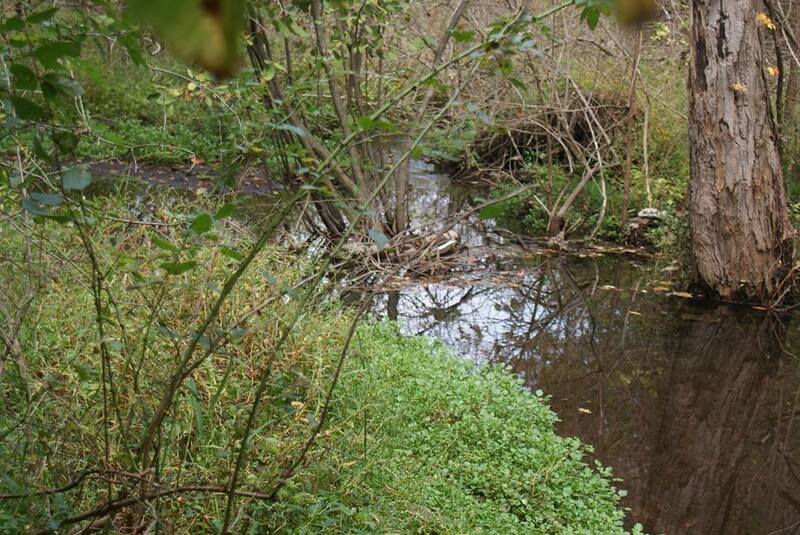 "De-snagging" can be bad for a trout stream as we all know. I have no issues with removing garbage from the stream, but wood is good and belongs in our streams. Again, I don't have many facts on my end to support or slam this project. But they should be consulting their flood person (Roy B) and TU as experts. When towns get involved and attempt projects without consulting experts, things seldom go well for the natural resource. I agree about leaving the wood. There were two large trees removed from the Ramapo downstream from Glen Gray bridge. I think one fell in during Irene and the other from Sandy. They are now gone and so are the fish that held there. It made for some good dry fly fishing. That run is now as interesting as the Garden State Plaza parking lot. Our East Jersey chapter reached out with Pete's help (Pete is an active member of that chapter) and we await some additional information. The folks we typically work closely with are not involved with this project or so it seems, so this project and its partners may not know about any resources TU could bring to help the town. jack1266, we'll make sure to make lots of fishy habitat when we finally get the town's project fully funded. The term "desnagging" gets thrown around a lot after flood events, as if it's a good thing..... (Grant money can be made available). To the general public, it's not a four letter word, and may get over used. Since I'm not an expert, I'm not going to pass judgement on that one, but I'm hoping that the only other significant changes are trash/litter removal. The last I heard (6/16/14) , the Conservation Chair from EJTU had, looked at the site, and contacted the head of the park committee, who had forwarded his message to the person running Saturday's project. I don't know where it went from there. I took a quick walk-through while they were still working on the brook. It turns out that the EJTU Conservation Chair (Rich), and the Project Manager (Lee) had managed to get together, and Rich was helping out. They seemed to be working harmoniously. Between them I got a quick tour of the site. That place is an overgrown jungle. I understand the temptation to just "clean it out". I tried to go in from the bowling alley parking lot, and almost got lost. It was much easier to get to the brook from the Doty Road entrance. The water is cold, and trout were observed. I'm not an expert, I'll defer to those who are...BUT.. To me, the culverts are a lot more troubling than natural obstructions ever could be. Lee showed me where they had removed a bunch of garbage (including two by fours) stuck in the smaller one. It's conceivable (maybe not practical) that the smaller one could be removed "by hand" and replaced by a foot bridge. I suspect that the larger one would require machinery, (and extensive remediation). That means permits, and funding. Just upstream from the new park, between the restaurant and the office building, there's a "dam-like" structure impassable to fish (well maybe a salmon or eel). It's not on Borough property, and at this point, beyond our control. I spent less than an hour there, do not consider my observations a formal report. Scroll down to "The Stream". I'm glad to see, that TU is being included. There might be a "catch 22", about the culverts. If they remove the culverts, they wouldn't be allowed to replace them with bridges. It's unrelated to the buffer, but they may not build a "structure" on the flood plain. The existing culverts are "grandfathered". If they want to have stream crossings, they must keep them. There's an article about culverts in the new Summer 2014 issue of Trout magazine. There was a link to the "Orvis/TU 1,000 Miles campaign". I wonder if they'd be permitted to rebuild/retrofit an existing culvert.